Hello! Welcome back to another day of Lawn Fawn Inspiration and Release week! Today we are featuring some new dies, the Lacy Borders, Lacy Heart Stackables and Outside In Heart Stackables. 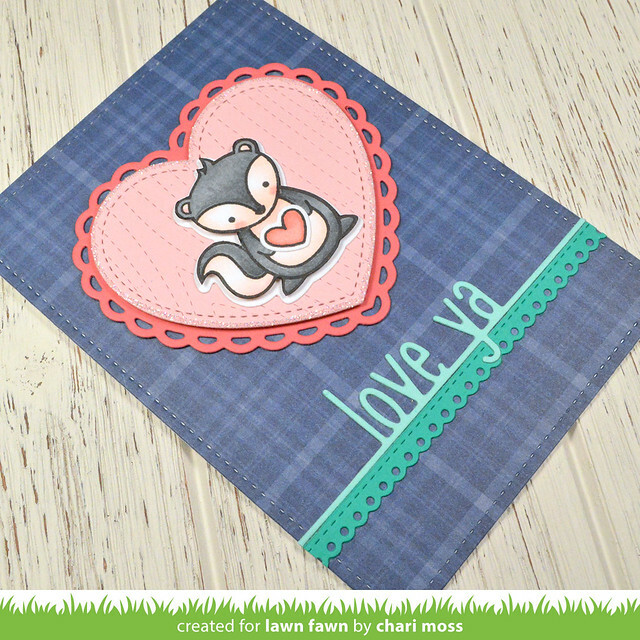 I made little 4 bar size card using the navy plaid from Perfectly Plaid Chil for the background. I added a Lacy Heart cut from Guava cardstock behind the Outside In Heart die cut from Ballet Slippers. 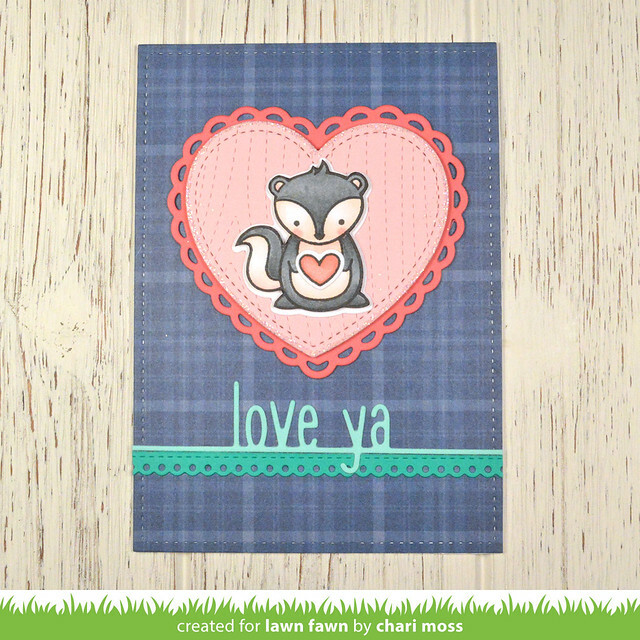 I also used the Stitched Woodgrain backdrop on the light pink heart to create the design and texture. The Love Ya Line border is cut from Mermaid cardstock with the small Lacy Border in Peacock cardstock layered below. I used the cute little skunk from Stinkin Cute fussy cut then popped up on top of a die cut piece. I did this because my die shifted when cutting, so rather than starting over, I thought I would try something a little different. I actually like the unique look it created, like a white shadow behind him. I finished off with a little glitter around the heart. Check out the Lawn Fawn blog today for more projects with these fun new products!